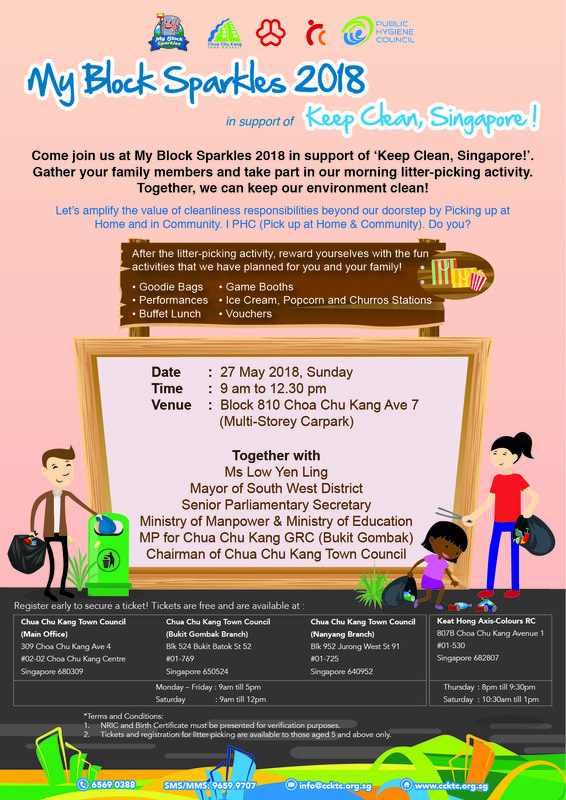 My Block Sparkles 2018 in support of Keep Clean, Singapore! My Block Sparkles has been revamped! Come join us for a morning filled with activities, games and food on 27 May 2018! Together, we can keep our environment clean! Register early to secure a ticket at Keat Hong Axis-Colours RC or one of the Chua Chu Kang Town Council Branch offices. We are pleased to announce the final results for My Block Sparkles 2016. Launched in 2013, My Block Sparkles is an annual competition aimed at raising awareness as well as encouraging residents to keep their estates clean. The assessment takes into account, both the physical and social dimensions of the estates i.e. the overall cleanliness, the amount of obstruction, bulky and dangerously placed items as well as the residents’ efforts & cooperation towards keeping their blocks clean. 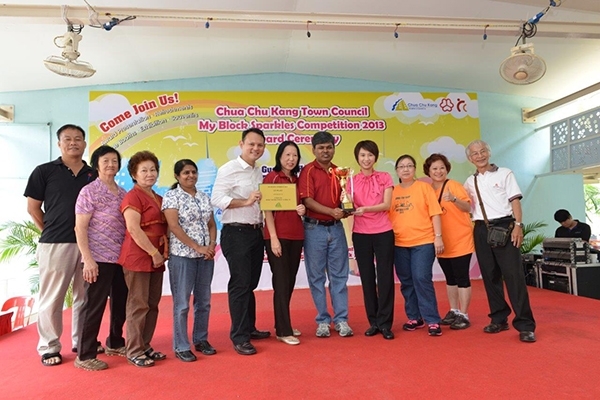 Together with Chua Chu Kang Town Council, the Residents’ Committees have all put in hard work over the past few months to organise educational activities such as block visits, block cleaning, exhibitions, and talks to encourage residents to participant and keep their estates clean and safe. All households within the top 3 blocks will be entitled to a one-off S&CC rebate. This rebate will be reflected automatically in the November 2016 bill. A plaque recognising this achievement will also be installed at the blocks. Once again, we would like to thank all residents for their strong support and active participation! Launched in 2013, My Block Sparkles is an annual competition aimed at raising awareness as well as encouraging residents to keep their estates clean. Based on the quality of the Social Dimension Proofs submitted as well as the Physical Dimension Assessment by our panel of judges for Round 2, we have selected one Residents’ Committee (RC) per constituency for the advancement to Round 3 of the competition. The Social Dimension Proofs submitted include photographs, Powerpoint presentations, and even videos of the campaigns and activities which the RCs organised to promote the competition. The Physical Dimension Assessment was a point system assessment based on the level of cleanliness, amount of obstructions/illegal fixtures/dangerously placed items found in the block. 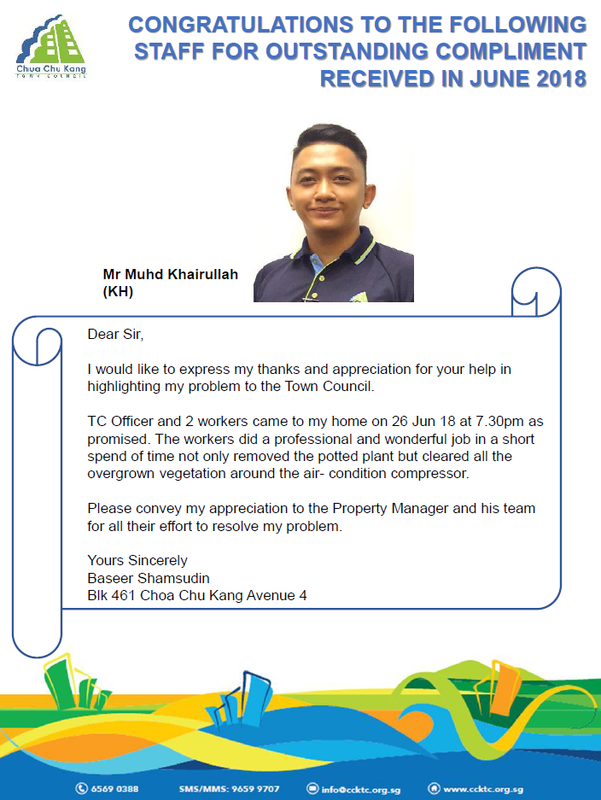 We hope that all residents will continue to keep their blocks clean and safe. All households within the top 3 winning blocks will be entitled to a one-off S&CC rebate. 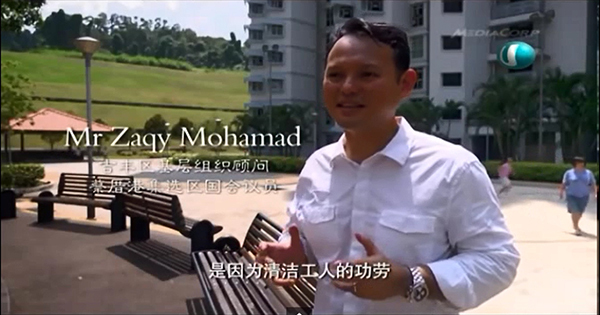 A plaque will also be installed at the void deck to recognise the efforts made by residents. 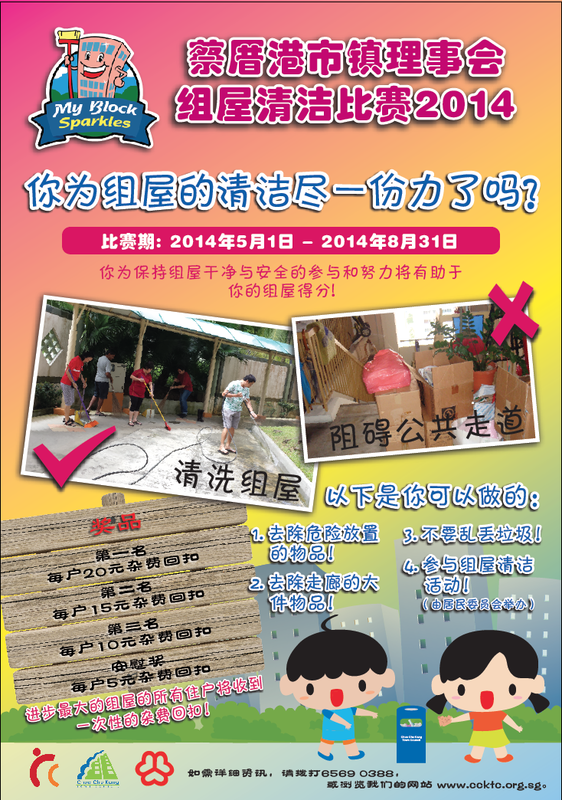 For more information about My Block Sparkles, you may contact us at info@ccktc.org.sg or 6569 0388. 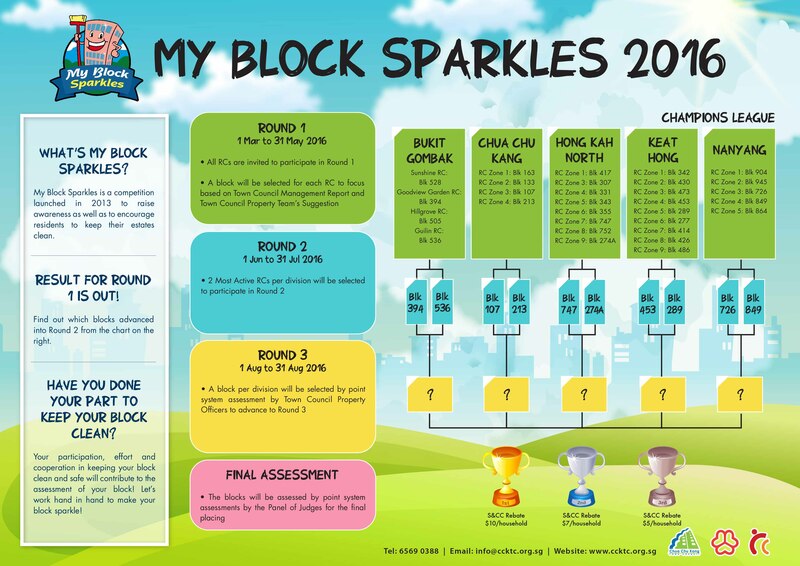 My Block Sparkles 2016 – Round 1 of the competition ended on 31 May 2016, and we have moved on to Round 2. Advancing to the next round are 2 Residents’ Committees (RCs) per constituency, and this was determined based on the quality of their Social Dimension Proofs submitted during the first round. The Social Dimension Proofs submitted include photographs, Powerpoint presentations, and even videos of the campaigns and activities which the RCs have organised to promote the competition. Through these efforts, more residents now understand that they play a vital part in keeping the estates clean and safe. We hope for the continued support of all residents; your participation, effort and cooperation in keeping your block clean and safe will contribute to the overall assessment of your block. 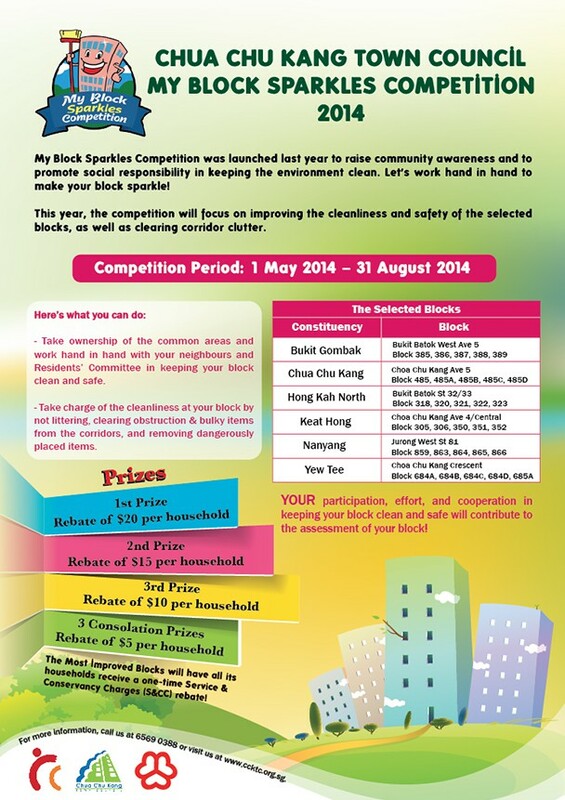 All households within the top 3 winning blocks will be entitled to a one-off S&CC rebate. 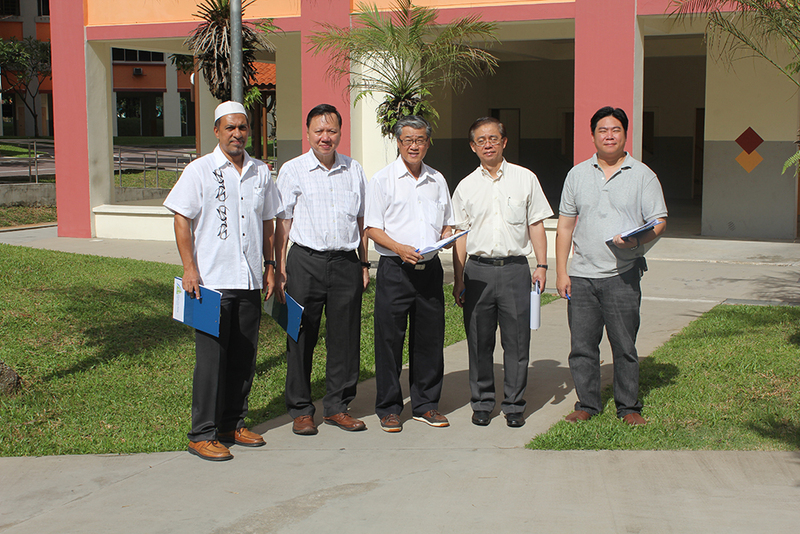 A plaque will also be installed at the void deck as well to recognise the efforts made by residents. Launched in 2013, My Block Sparkles is an annual competition aimed at raising awareness as well as encouraging residents to keep their estates clean. This year, we have repackaged My Block Sparkles into a “Champions League” format, which will pit all 5 divisions’ selected blocks in 3 rounds of intense competition. Together with the Residents’ Committees, we will coordinate campaigns and activities for residents to participate in. In turn, we need your help to maintain the cleanliness and the safety of your block. Your participation and efforts towards keeping your estate clean and safe will contribute to the overall assessment. All households within the top 3 winning blocks will be entitled to a one-off S&CC rebate. 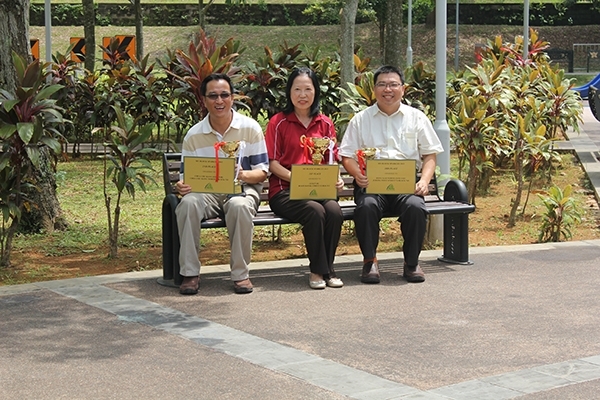 A plaque will be installed at the void deck as well to recognise the efforts made by residents. We look forward to your support in taking the necessary steps to make our environment cleaner and more conducive for our future generations. 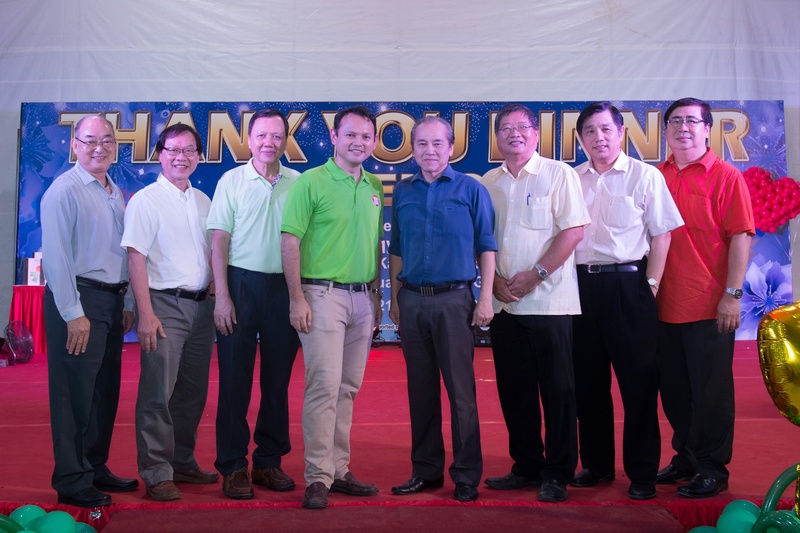 My Block Sparkles 2015 Award Ceremony was held in conjunction with Lam Soon Community Centre’s Thank You Dinner for Seniors on 21 November 2015. Nine blocks were recognised; and one block received a special Innovative Award for the creative presentation of its working committee. 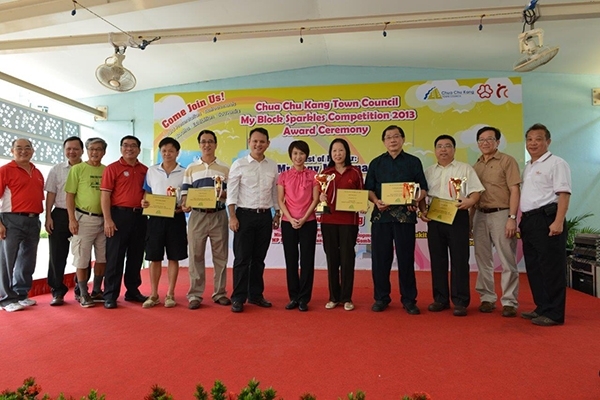 Organized yearly by Chua Chu Kang Town Council since 2013 to encourage residents’ cooperation in keeping their estates clean, this year’s contest period was from 1 May to 31 August 2015. All household units in the winning blocks will be rewarded with a one-time rebate on their Service and Conservancy Charges (S&CC) for their November 2015 bills. The rebates range from $5.00 to $20.00 depending on the block’s ranking. The winning blocks will also have a plaque installed in their lift lobbies recognizing their achievements. The photographs of this event can be found in Gallery. Congratulations to the followings blocks for winning My Block Sparkles 2015! Every year, My Block Sparkles aims to help to raise community awareness and to promote social responsibility in keeping the living environment clean. The assessment takes into account, both the physical and social dimensions of our estate i.e. the overall cleanliness, the amount of obstruction, bulky and dangerously placed items as well as the residents’ efforts & cooperation towards keeping their block clean. All households within the winning blocks will be entitled to a one-off S&CC rebate. This rebate will be reflected automatically in the November 2015 bill. A plaque recognizing this achievement will also be installed at the blocks. Congratulations once again in receiving this esteemed and deserving award, and do continue keeping your block sparkling clean! 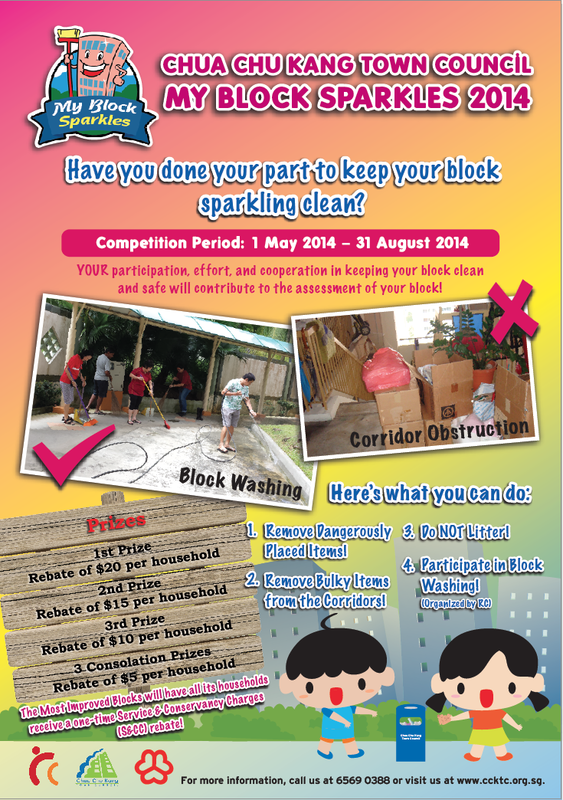 Have You Done Your Part to Keep Your Block Sparkling Clean? We are moving into the final phrase of My Block Sparkles 2015 as the Assessment Day draws closer. Started in 1 May 2015, it has been a challenging yet fulfilling journey for us to raise community awareness and to promote social responsibility in keeping the environment clean. Together with the Working Committees, we have conducted block visits, various events, and even block washings for residents’ participation. 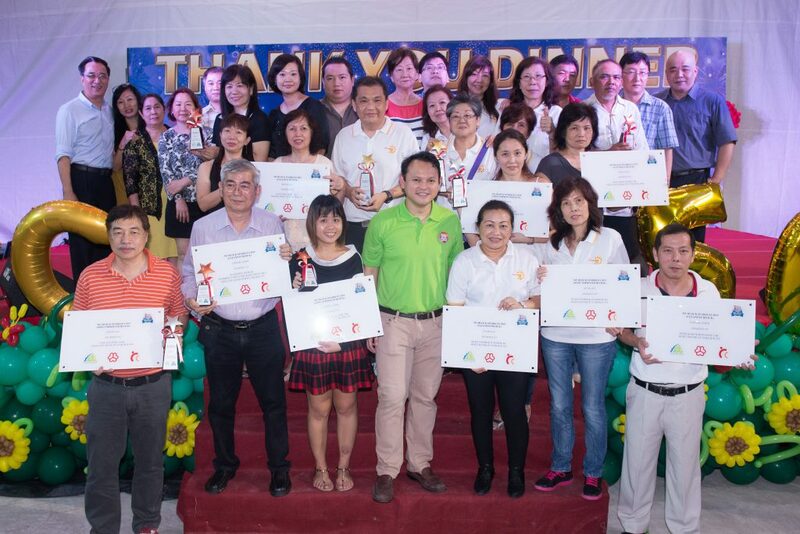 Through these efforts, residents now understand that they also play a part in keeping the estates cleaner and safer. 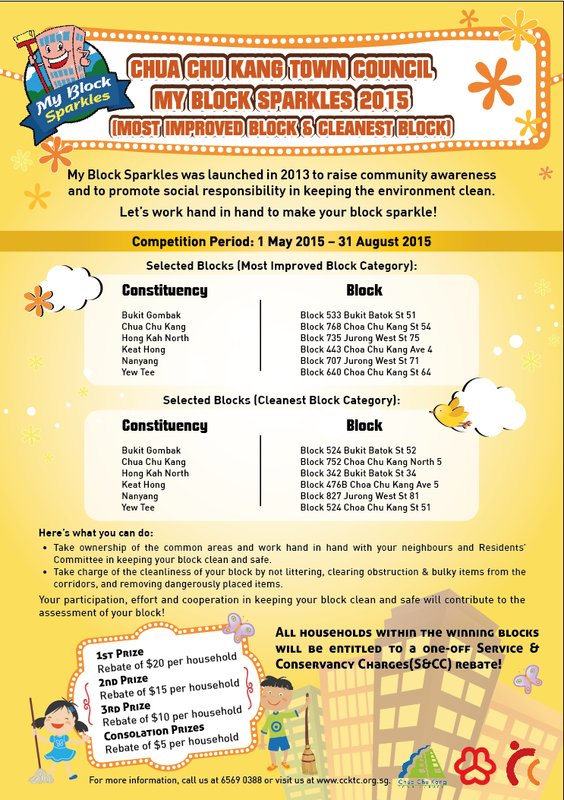 We hope to continue getting all residents’ support in the final phase of My Block Sparkles 2015; your participation, effort and cooperation in keeping your block clean and safe will contribute to the assessment of your block! 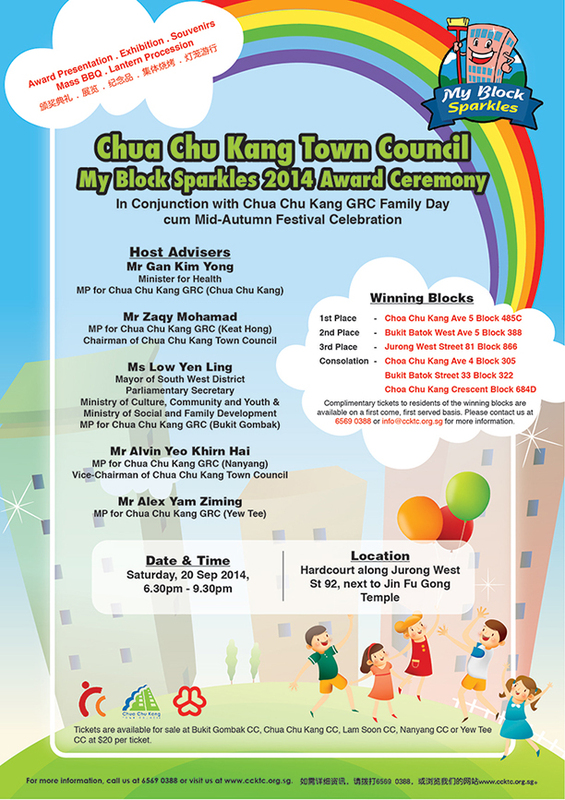 For more information regarding My Block Sparkles 2015, you may contact us at info@ccktc.org.sg or 6569 0388. 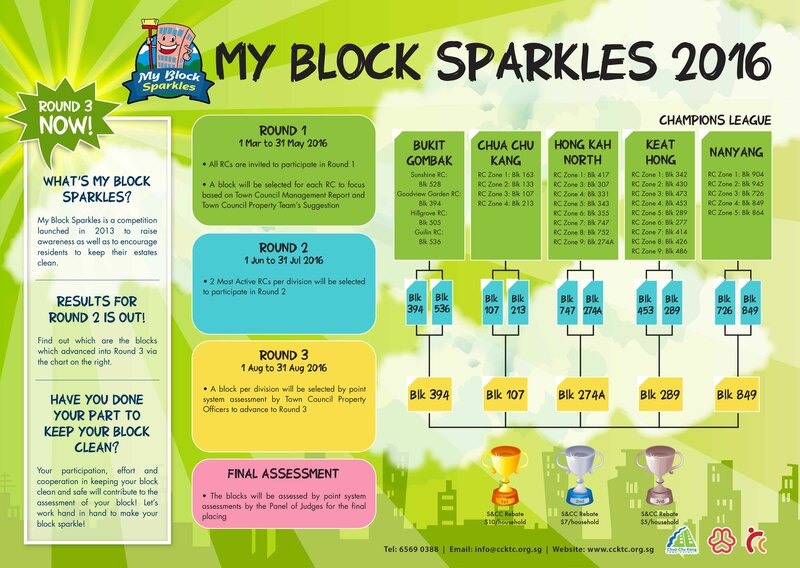 My Block Sparkles 2015 will officially start on 1 May 2015! My Block Sparkles was launched in 2013 to raise community awareness and to promote social responsibility in keeping the environment clean. Together with the Working Committees, we will co-ordinate campaigns and activities for residents to participate in and play a part in maintaining the cleanliness and safety of their blocks. All households within the winning blocks will be entitled to a one-off S&CC rebate as well as a plaque installed at the void deck. 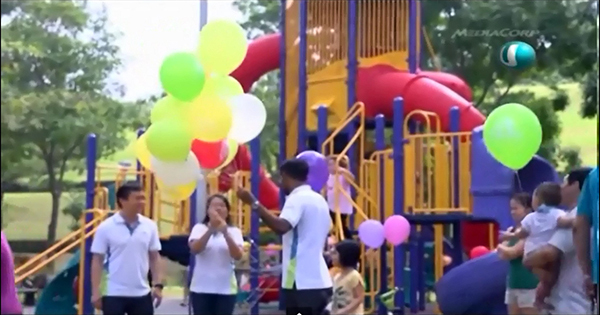 We look forward to making Chua Chu Kang Town a cleaner and safer place for all. 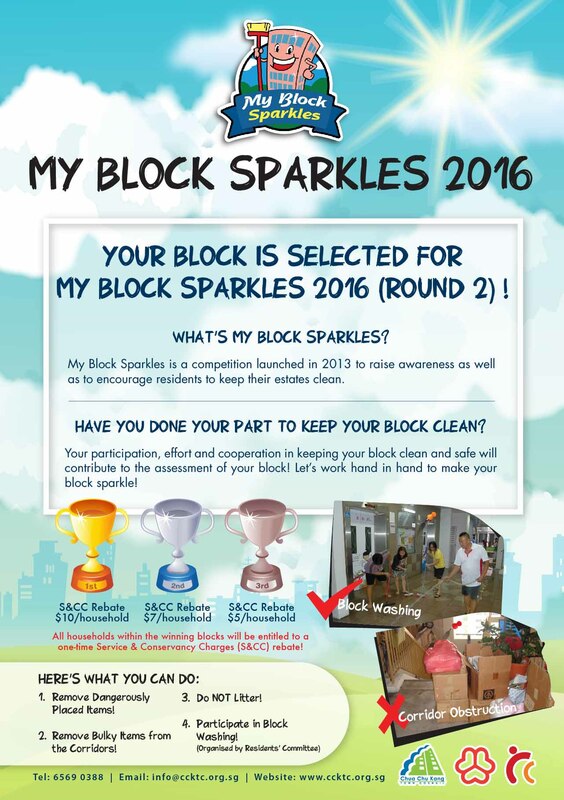 If your block has been selected for My Block Sparkles 2015, you may contact us at info@ccktc.org.sg or 6569 0388 for participation details and other related information. 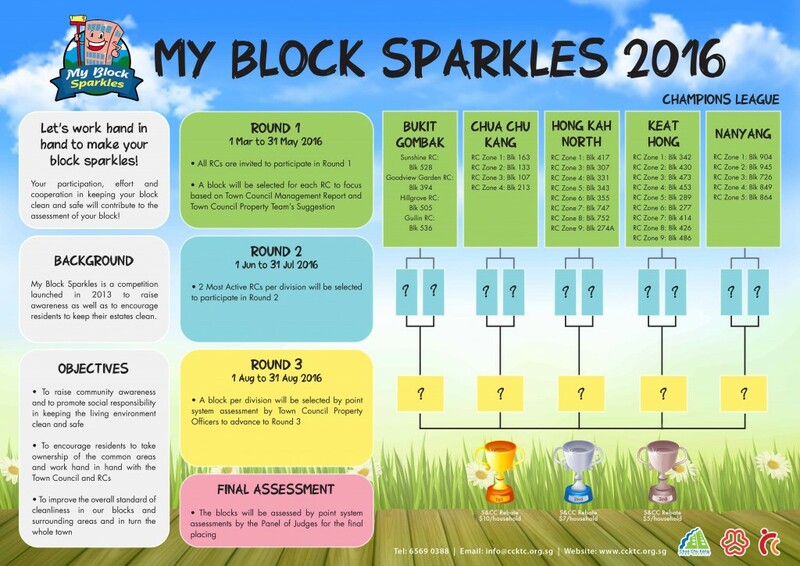 We wish to congratulate the followings blocks for winning this year’s My Block Sparkles! This year, we looked for the Most Improved Blocks and we were very happy to see our residents work hand in hand with the RCs & Town Council to spruce up their estates! As Assessment Day for My Block Sparkles 2014 draws closer, your participation, effort and cooperation in keeping your block clean will contribute to the assessment of your block! Remember we are looking for the MOST IMPROVED BLOCKS! Eliminate Corridor Clutter & Killer Litter by Spring Cleaning the common corridors. Obstruction to common corridors and fire fighting equipment (e.g. dry risers & hose reels) can seriously hamper fire fighting efforts and smooth evacuation in an emergency. Ensure that a minimum clear escape passage of 1.2 m is maintained in your corridor! 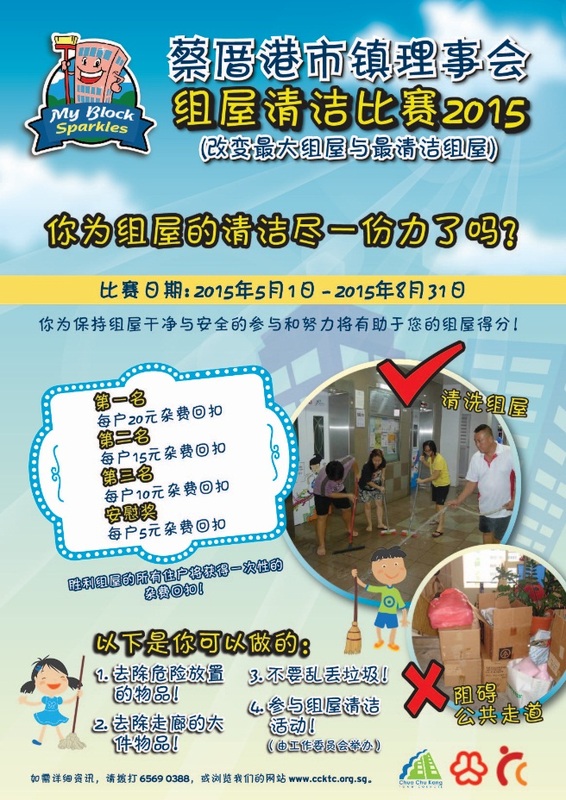 Work with us to create a cleaner and safer home in Chua Chu Kang Town! This year’s ‘My Block Sparkles’ will build on the success of the last. The nominated blocks will work hand in hand with the Residents’ Committees (RC), Working Committees and the Town Council to target corridor clutter! 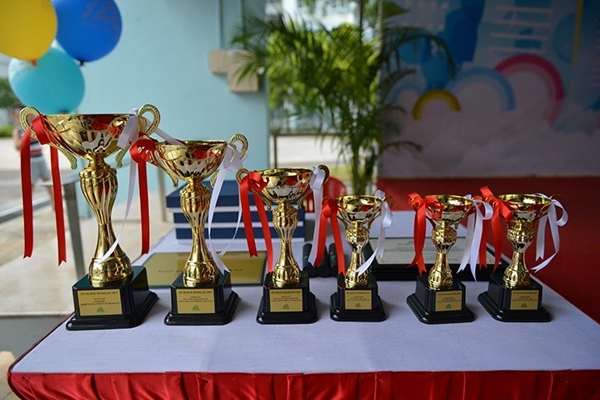 At the end of the competition, The Most Improved Block from each constituency will receive an S&CC rebate for each household in the winning block as well as a plaque installed at your void deck . Aside from cleanliness, our judges will also be looking at corridor clutter, or rather, the lack of it! The campaigns that you & your RC embark on will play a huge role in this competition as our judges will also score the blocks on social efforts. 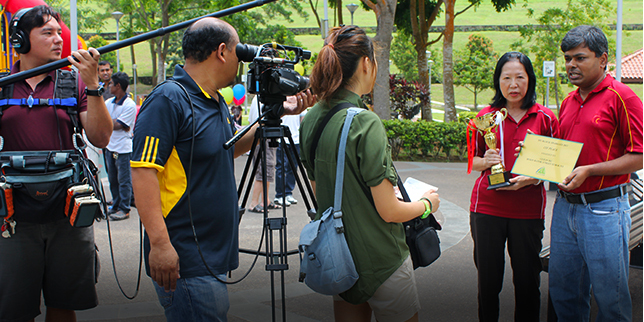 If your block has been nominated for this year’s My Block Sparkles, contact us at info@ccktc.org.sg or your RC! 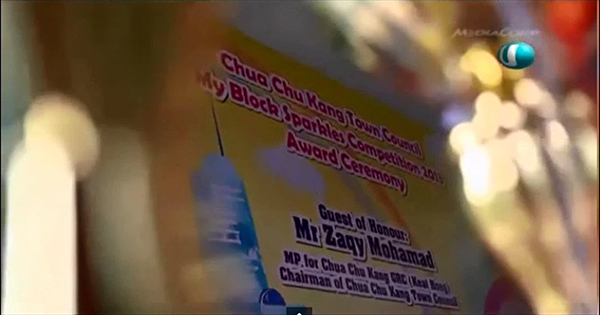 My Block Sparkles Competition 2013 is organized by Chua Chu Kang Town Council with the support of the Citizens’ Consultative Committees, Residents’ Committees, and Working Committees. The competition took place from 1 June – 30 September 2013. 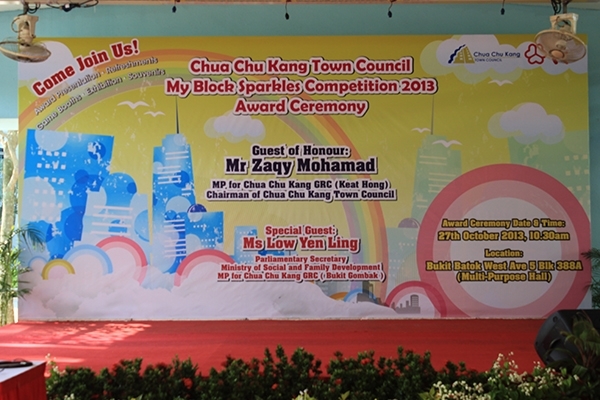 My Block Sparkles – Award Ceremony was held on 27 October 2013 at Bukit Batok West Avenue 5 Block 388A (Multi-Purpose Hall). 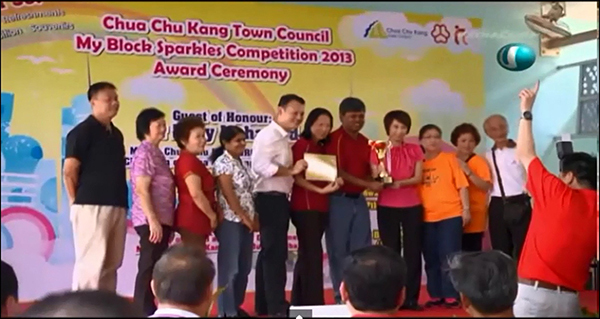 Residents of Chua Chu Kang Town were invited to join us for the ceremony. Also in attendance were Guest-of-Honour, Mr Zaqy Mohamad, MP of Chua Chu Kang GRC (Keat Hong), Chairman of Chua Chu Kang Town Council and Special Guest, Ms Low Yen Ling, Parliamentary Secretary for Ministry of Social and Family Development, MP for Chua Chu Kang GRC (Bukit Gombak). The cleanest blocks were presented with a trophy and a plaque, as well as a one-time S&CC rebate of $5 to $20 in November. Our panel of judges was also presented with a plaque and souvenir in appreciation for their participation in My Block Sparkles. 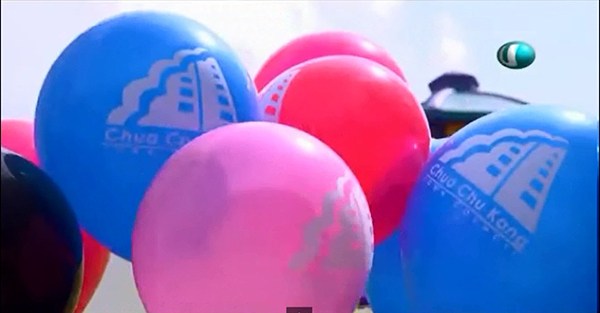 The children were entertained with a magic and balloon performance at the event while the adults visited the exhibition booths set up by CCKTC, NEA, and SPF. It was great to see our residents enjoying themselves at the event and becoming more aware of the need to maintain a cleaner living environment through this competition. Trophies, Plaques, Certificates and Souvenirs! 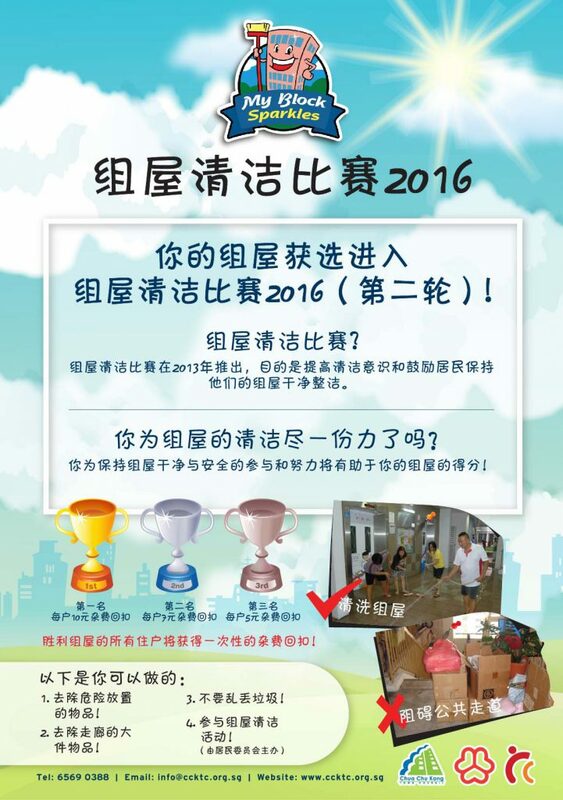 Congratulations to Guilin Zone RC for winning the competition! 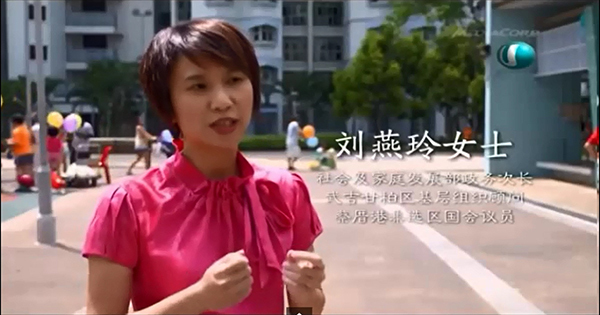 My Block Sparkles – Physical Assessment Day was held on 20 September 2013. Our panel of judges traveled to all the selected blocks to conduct the physical assessment where scoring was based on the cleanliness of the estate and the amount of obstruction / bulky items/ dangerously placed items. Void decks, staircases, and letterbox areas in HDB estates are usually dirtier due to high traffic flow. Other than relying on the conservancy workers to keep the estates clean, the residents should also play their part in keeping the estates clean. 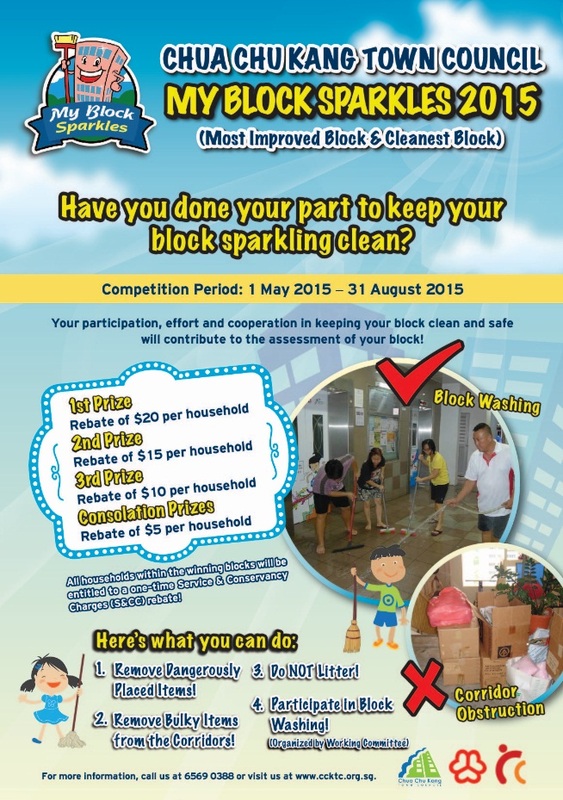 In order to implement this idea, Chua Chu Kang Town Council organized My Block Sparkles Competition in Chua Chu Kang Constituency, Keat Hong Constituency, Yew Tee Constituency, Nanyang Constituency, Bukit Gombak Constituency, and Hong Kah North Constituency to garner the support of the residents to keep the estates clean. The Resident Committees and Grassroots Leaders conducted house visits and gave out flyers to encourage residents to join the competition. 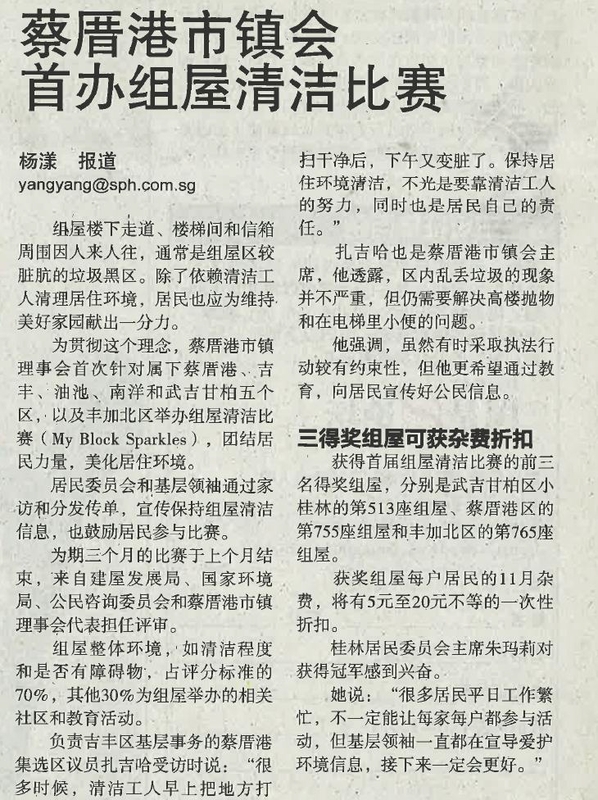 The competition lasted for 3months and the panel of judges for the competition came from HDB, NEA, CCC, and CCKTC. The cleanliness of the estates (such as cleanliness level and obstruction) account for 70% of the score while educational events related to the competition account for the remaining 30%. Mr Zaqy Mohamad also mentioned that littering in Chua Chu Kang Town is not severe but there is still a need to resolve high rise littering and lift urination problems. Mr Zaqy Mohamad emphasized that there might be restrictions in conducting enforcement sometimes; he hopes that through education, social responsibility messages can be better instilled in the residents. 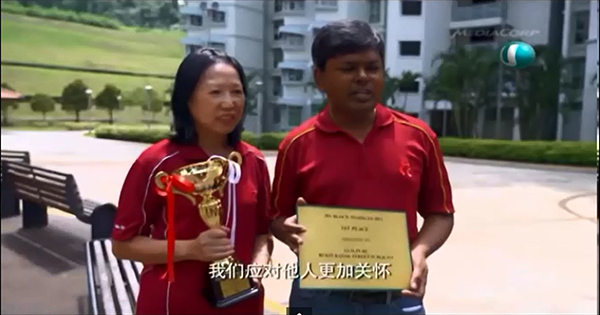 First prize goes to Bukit Gombak Constituency Blk 513, second prize goes to Chua Chu Kang Constituency Blk 755, while third prize goes to Hong Kah North Constituency Blk 765. Every unit in the winning blocks will get a $5-$20 S&CC one-time rebate in the November bill.